Yesterday I attended a presentation from felow MVP Sophie Marchand about Power BI. I had previous exposure to Power BI when it became generally available for free as part of the Office 365 suite. The content of the presentation was around multiple areas in Power BI, so I thought I’d revisit some of them and put some thought into how we could leverage the power of the Business Intelligence platform to manipulate and play with Dynamics CRM data. This area is well documented. 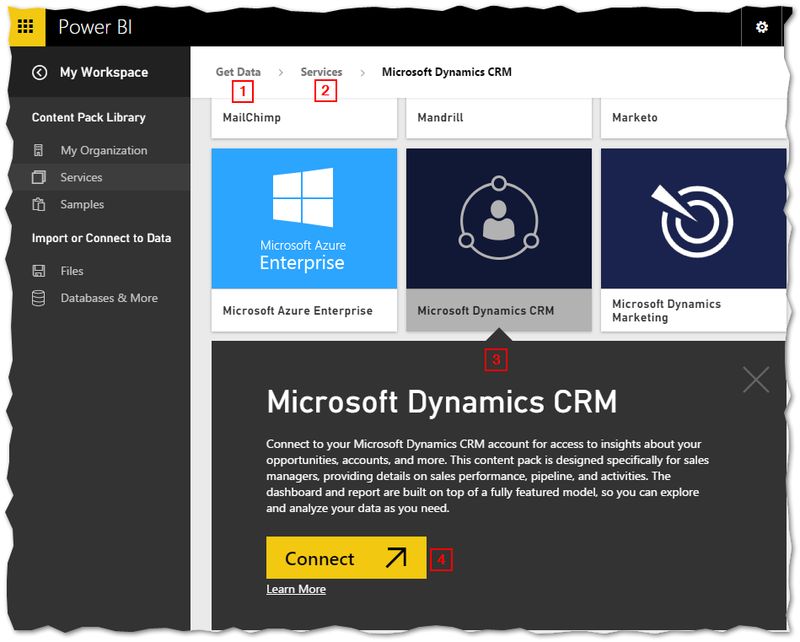 When you create or log on to you Power BI account, you can get Dynamics CRM Online data by going to the “Get Data” section, selecting “Services” and finding the Microsoft Dynamics CRM content pack. 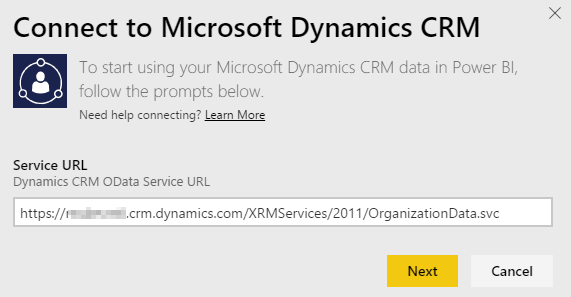 Once you click on Connect, you will need to provide your Dynamics CRM Online OData Service URL (make sure you don’t leave a trailing slash in the end). Once this process is completed, Power BI will connect to your Dynamics CRM Online Organization, get a set of data and build a Sales Manager Dashboard. That dashboard is pre-configured as part of the native integration between CRM Online and Power BI. Keep in mind that you can also connect to CRM Online from Power BI for Desktop. The way the data is structured is a bit different and you don’t get the Sales Manager Dashboard by default. That being said, it bring the data in using the OData Service and gives you the ability to create your own visualizations and reports. Let’s take it a step further and see what options you have if you need to manipulate data from custom entities and create visuals, dashboards that are useful for your business. If you want to leverage Power BI, which you should in many ways, there are other ways to connect it to your CRM data. Here are some of the options that you have. 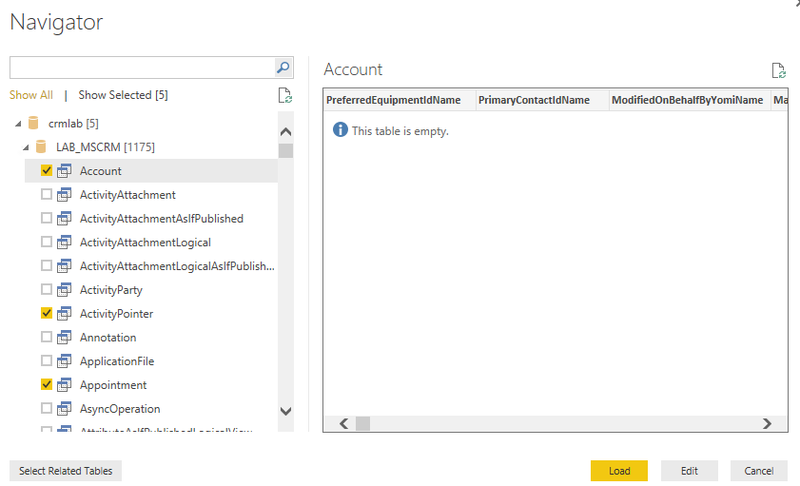 For CRM On-Premise organizations, using Power BI for Desktop, you can simply connect to your CRM Database start creating for dimensions, cubes and reports from there. 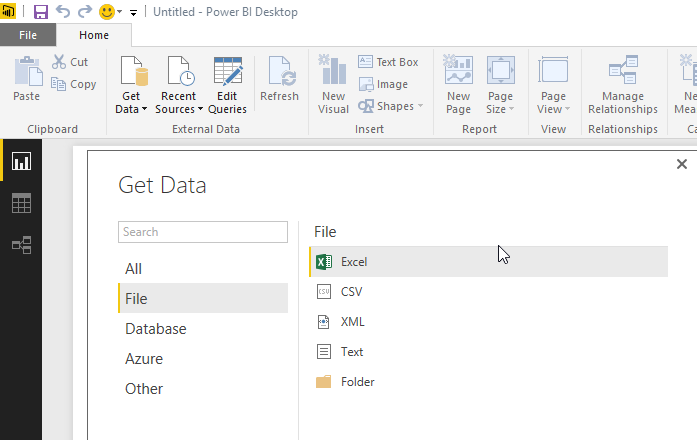 If you need more information on how to get started with Power BI for Desktop, make sure you check out Microsoft’s article here. Worth noting, you can export your Power BI for Desktop content and upload it to the Power BI web platform. This gives you the ability to view the dashboards online, question it differently and also share it with people in your organization. In the Dynamics CRM and Microsoft ecosystem, it has never been easier to build reports and intelligence around your operational data. Enjoy! Plugin on Retrieve and Retrieve Multiple - How bad is it?